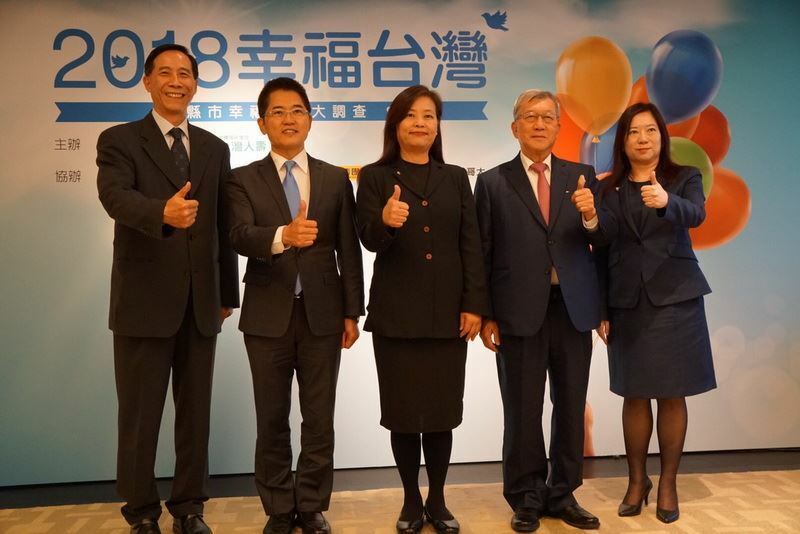 The survey of 2018 National Happiness Index, conducted jointly by Economic Daily News and Taiwan Life Insurance Co., Ltd., was revealed on December 18. It showed that Hsinchu County jumped to third place with a score of 66, only losing to Hsinchu City and Taitung County. Hsinchu County Magistrate Chiu Ching-chun specially led his team to Grand Hyatt Taipei to share his experiences about county governance with other city and county leaders. Magistrate Chiu said that he coped with desperate financial problems with perseverance and gained support and assistance from the citizens and the Council with patience and efficiency. Magistrate Chiu also showed that it was a great encouragement for the government team to secure third place in the survey. "I worked relentlessly every day even when my term of office was about to come to an end. This honor was definitely the best ending to me," Magistrate Chiu added. 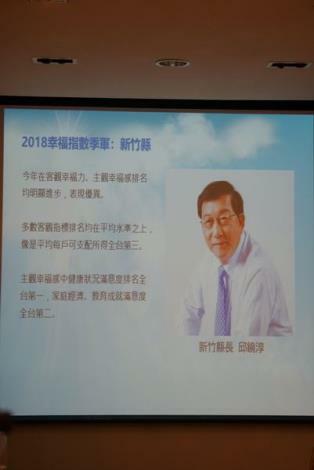 Since Magistrate Chiu took office, the government has been devoted to the development of five main industries, including green optoelectronics, biomedicine, culture and creativity, tourism, and quality agriculture. As it turned out, the government has been doing the right things and gained public recognition after receiving several awards. The current project of the county government—the International Artificial Intelligence Park—is expected to produce an output value of NT$20.3 billion and create job opportunities for 1,325 people. It is believed that the establishment of the International Artificial Intelligence Park will speed up the entire industrial development. On the other hand, China Medical University Hsinchu Hospital, located in the Health Industrial Park and open on December 15, will improve medical services by increasing the capacity for emergency and critical care and make up for the deficiency in sickbeds. 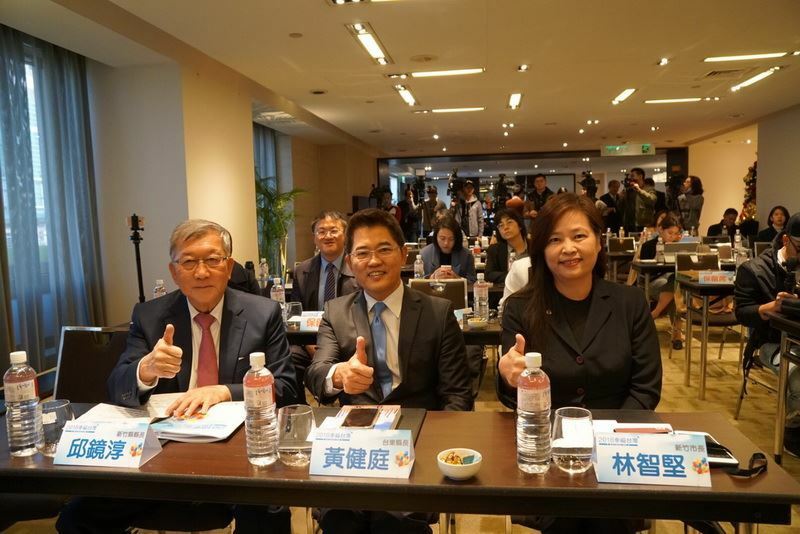 As for Hsinchu Biomedical Science Park, it has attracted substantial investments from all over the world and successfully formed a industrial cluster. Despite limited financial resources, the county government still lays great emphasis on education, which accounts for 48% of the total budget. Over the past nine years, seven schools have been built, and the total expenditure is up to NT$3.8 billion. 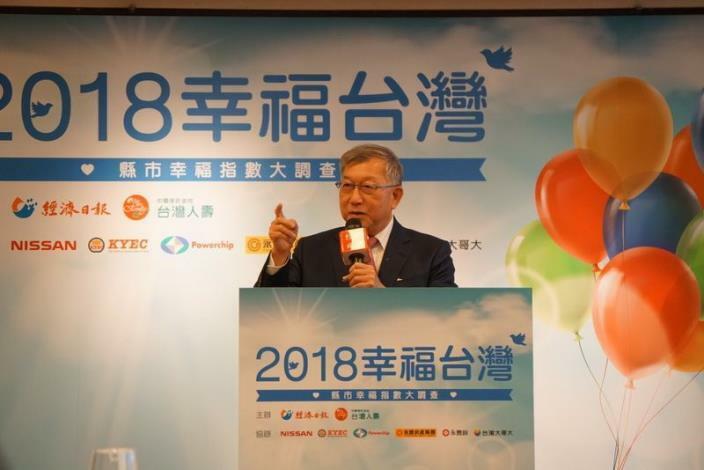 In terms of public transport, the county government has arranged a "seven horizontal and seven vertical" transport network, which effectively solves the traffic problems between Hsinchu County and Hsinchu City as well as between Hsinchu Science Park and Industrial Technology Research Institute. In the meantime, the government also provides public transportation services such as the transit bus, tourist shuttle, and e-bus, dealing with traffic problems through big data analysis. In addition, a total of 13 bridges have been built or restored over the past nine years, and some of them even bear the responsibility for the delivery of agricultural products or tourism. In addition to its infrastructure, the county government also pays attention to the spiritual needs of the citizens. It has held various cultural festivals, including the sensational 2013 Taiwan Lantern Festival and the 2015 Taiwan International Carnival. Moreover, along the Hakka Romantic Avenue, there are Beipu Old House, Chiang A-hsin Mansion, Hexing Love Train Station, Neiwan Old Street, Zhudong Cultural and Creative Village, One Bear Museum, Dong'an Bridge, ancestral shrines, and New Tile House Hakka Cultural District. All of these places are fascinating tourist spots that visitors will never feel bored with.